Never too late for a fall palette appreciation post! And for those who love yellows and browns, these linens could be used for any occasion especially on weddings. Be in a wonderful medley of yellow with mixed boho and fine art styles. It’s a good idea to mix gold tableware with white linens and yellow silk table runners. A classic and fine art sytle made even better if yellow flowers and cognac brown cups are added! This theme is best paired with a boho wedding dress and bridal hairstyle but still maintain the fine art elements with a yellow and white silk velvet ribbon designed bouquet. 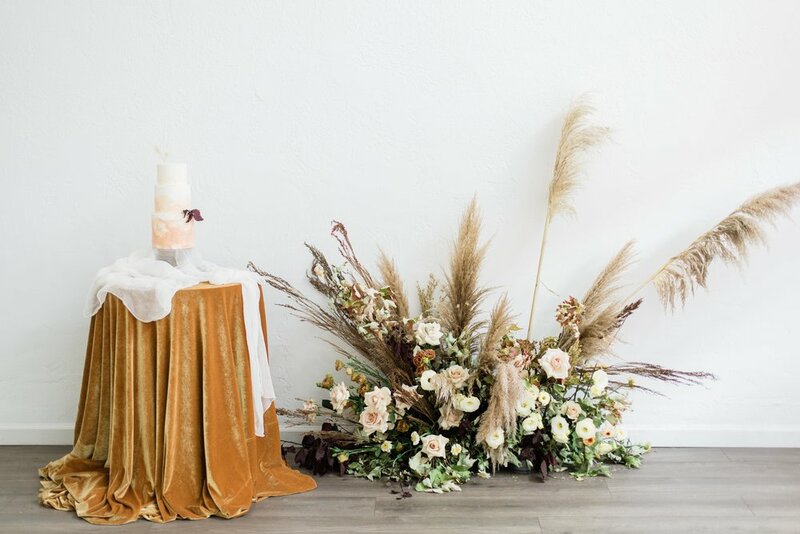 This whole concept won’t be complete with this golden brown silk velvet table linen that radiates elegance, art and free spirit all at the same time! Sometimes it’s all in the venue! Find a gorgeous location with yellow walls and accents and designing the reception will be super easy. Just find a wooden table and put your bountiful food on our silk table runners and you’re done. This them is perfect for those brides who like to keep it simple. Just a classy wedding dress and bouquet with yellow tones and silk velvet ribbons would do. The colors and the ambiance will do all the magic! Some themes like this yellow one will require less effort which is great, right? Yellow colors are very lively and are perfect for outdoor wedding receptions! The natural greens and aura of the place will match with your tablescape especially with a silk table runner like this one. Yellows are also good for outdoor wedding photoshoots! They go along very well with greens and browns and most importantly, these colors make wedding dresses pop up, emphasizing all the designs. See how tall the yellow and fall tones work together? Adding gorgeous white linens will add to the effect and your wedding will be a scene that everyone will remember for a long time. If you’re looking for more yellow variations and linens, send us a message and let’s make that dream wedding of yours come to life!